Very often, the owners of blooming orchids are wondering why the plant ceases to bloom, looks sick and dies. 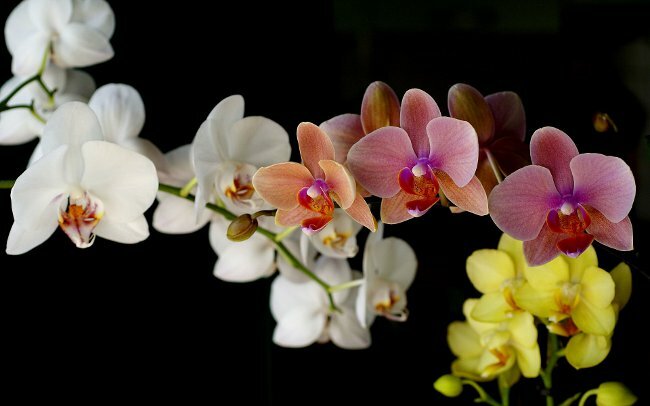 The fact is that orchids are more demanding and capricious in care than usual plants. They are especially fastidious in food, so in order to beauty orchids pleasing to the eye with lush flowers, you must know several simple rules for watering these plants. This question has no clear answer as to watering this tropical plant is affected and the temperature of the air in the room, and humidity, and time of year, depending on which flower you need more or less moisture, and the composition of the substrate, and even the size of the pot. Just to say one thing – the Orchid is better to be watered rare, but abundant. The roots of the plants should not be in a wet environment constantly, from excessive watering, they will begin to rot and the plant will die. Given that in their natural environment orchids are blooming and there are comfortable, clinging roots in the bark of trees, and torrential rains, alternating hot dry weather for them the perfect environment, you should try to bring their room to a normal existence. For example, a common mistake among Orchid lovers, is incorrect watering. Orchids can not be watered often. The substrate in the pot should be completely dry. If for several days, the substrate is not dry, it must be replaced with a larger, so the roots are better ventilated. that plant needs watering, says the color of the substrate and roots orchids - wet substrate is always darker than dry, and dry the roots of the Orchid become not green, and light gray. 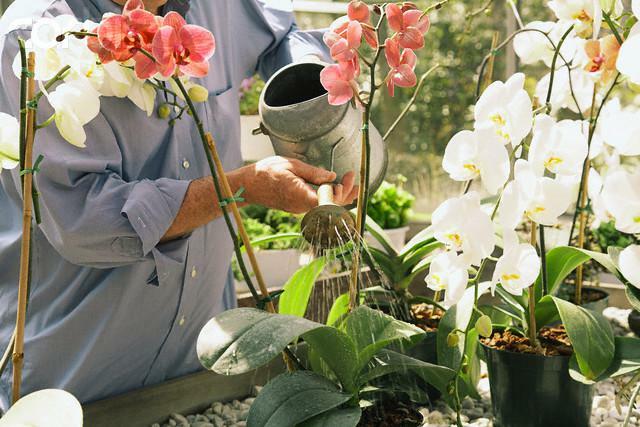 Like all orchids, watering is by lowering the pot in a basin of water. These "baths" are well and evenly moistened substrate, give enough to soak the roots with water. The pot must be immersed in a bowl of water and leave for 15-20 minutes. In the cold season, such a procedure should not exceed 10 minutes. After the pot is removed from the water and leave for another 20-30 minutes in limbo, to drain the water. Night Orchid "sleep", so to water the plants better in the morning so during the day its roots plenty saturated with moisture, and the substrate dried up. What kind of water the plant is watered, depends on his health. Ideally, water the Orchid better than rain water, but if it is not possible to collect moisture after a rain, suit and ordinary, tap water. Water for irrigation must necessarily stand for 3-4 days. When watering orchids it should also be remembered that the plant does not like different impurities in the form of salts and lime, watering orchids is suitable only for soft and clean water. The existence of a large amount of impurities can be judged by the accumulation of limescale in the kettle: if it appears quickly and in large quantities, so the water is not suitable for watering orchids, it is necessary to defend and boil. The best option is to add distilled water pooled in 1:1 ratio. It is believed that a hot shower is beneficial for the Orchid and stimulates its flowering. Maybe so, but do not water the Orchid with boiling water, the water should be no hotter than 38 degrees. In addition, in order not to injure the plant, and the spray shower needs to be as small as possible. And yet, after such a method of watering orchids must dry all hard-to-reach sinuses of a plant. This can be done using paper towels or cloth. Contrary to the opinion that Orchid is capricious and requires special care, great plants you can grow, by following simple rules of irrigation. And remember that the Orchid is better to forget to water than to drink flower water once again.